We’d love your help. 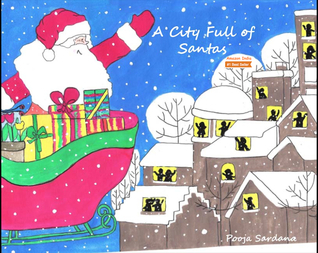 Let us know what’s wrong with this preview of A City Full of Santas by Pooja Sardana. This Christmas is special; really special for Santa. Read this lovely Christmas tale that would re-define the meaning of Christmas. Just like Pooja's other books, this book brings love, warmth, and a special message. A story that parents would love to read to their children. To ask other readers questions about A City Full of Santas, please sign up. I just loved this story, A City Full Of Santa's written by Pooja Sardana. The story starts out with Santa going to fill stockings and what a surprise he received. I highly recommend this book to read to your children.